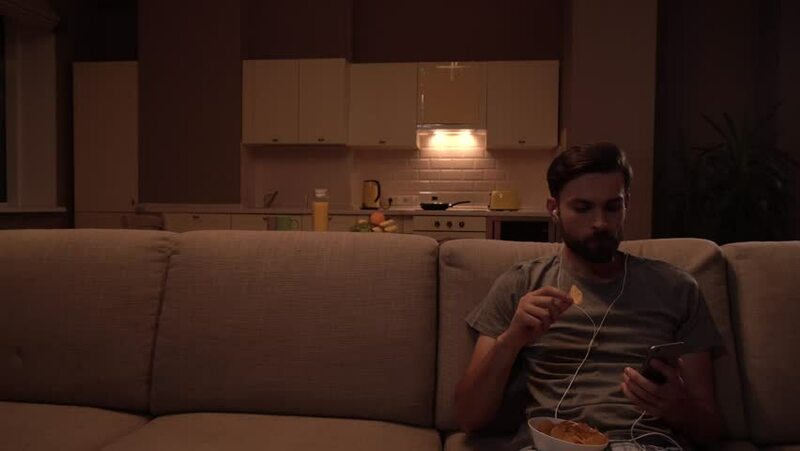 Guy sits on sofa and holds bpwl of chips. He is eating and listening to music. Girl is cleaning floor behind sofa. She stopped, looked at husband and touched forehead. She continues working. 4k00:07HONG KONG, CHINA - JANUARY 23 2017: Hotel room. Hat on the bed. Closeup.